Eliminate the words “Don’t take it personally” from your vocabulary. For more tips, check out Chapter 2 of Radical Candor, and read this highly popular article from last year about giving feedback that’s not about personality. A few weeks ago, we received an amazing email from Samir Sagar, Director at Manubhai Jewellers. He had shared some of our blog posts and videos with his team several weeks prior, and on the day of the email to us, had held a meeting with his five direct reports to ask for feedback. I told my team that I am at fault for not creating an atmosphere in which they can bring their honest feedback …and that I never intended it to be that way. I asked them to tell me – to my face – whatever they think of my suggestions/ideas/opinions – anything. I would appreciate that. In this meeting, his team began to open up and give him feedback. Hearing from them and opening this line of communication had a strong impact on Samir. Honestly, about 6 to 7 hours after that conversation, I am still dazed. This is going to be a great journey. My heartfelt thanks to Kim, Russ, and the entire Candor team. The intense feeling that I am feeling right now cannot be expressed in words. We were inspired by Samir’s email and immediately wanted to hear more of his story. I talked with him and one of his team members to learn how it all came about. Check out both sides of the story! Samir’s company, Manubhai Jewellers, is a family-owned business in Mumbai. Samir joined the company straight out of school at 17 years old. He says, because it was a family-owned business, “No one challenges you. You get the notion that everything you do is right.” This continued for many years, and suddenly about five years ago, something changed. He began to notice the tone in the office and realized that he had mostly been behaving rudely as a manager, that he had been yelling at people. When he realized this, he thought, “This is not correct.” Samir started looking at management books and got a coach. He became more self-aware and started making changes. 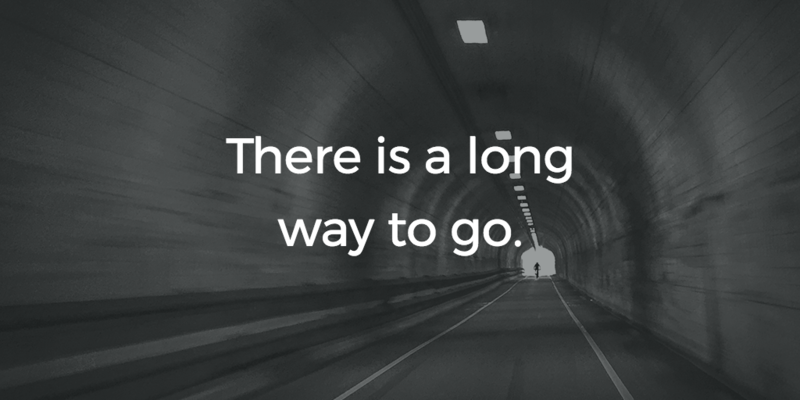 Several months ago, Samir thought again, “There’s something wrong.” Around that same time, he came across Radical Candor and started reading the blog, listening to the podcast, and reading the book. He started to try to be more open and get to know his team members a little more, but he wanted to learn all he could about the topic and not rush into things as he had done in the past. The team got together for this first conversation, the meeting that prompted Samir’s email to Candor, Inc. The meeting started on a different note, but as the topic wrapped up Samir asked if the team had watched the video. They had. He said, “I’m sorry for creating an environment that is kind of authoritarian.” He acknowledged where he knew he had made mistakes and talked about his journey over the last couple of years. He told the team that he wants to do better, to create a culture of Radical Candor and give people the chance to tell him when he’s wrong. 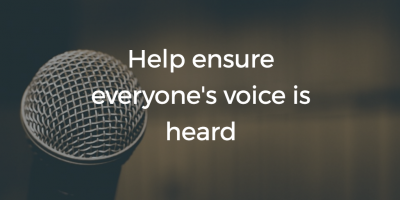 After opening up about his mistakes and reassuring the team that he really wanted to hear their thoughts, Samir invited them to bring their views to the table. They were a bit hesitant at first, but they eventually opened up. “Since we are being Radically Candid,” they started, and so began a 30-40 minute open discussion with the team. They told him what bothered them, what made it harder for them to do their jobs, and where they thought things could improve. He gave another example of a report asking to extend their weekly meeting and diving into some topics close to her heart. Of course, there are two sides to every story, and we often encourage managers to check how a conversation felt for the other person. In this case, when I finished talking with Samir, he said, “Would you like to talk with one of my team members as well?” He was already thinking about the different perspectives on this experience. But she says that as a traditionally run family business, there has always been a very top-down approach. Team members could share their ideas, but they were mostly limited to smaller parts of the larger projects and tasks the Directors assigned. The feedback session that Samir initiated with the team was different in that it encouraged a more open discussion than Janice had seen previously. She told me that there had been confusion about why certain projects had been prioritized, a feeling of achievements with large impact being ignored, and frustrating, unexplained changes in late stages of projects. “For a while, we were confused about what we were doing wrong or if we were actually doing something right.” It had felt like there wasn’t an open flow of communication between the Directors and the teams. When Samir opened up in the meeting about some of the things that had been going on, it helped everyone get a better sense for why things were the way they were. And when Samir asked for their thoughts, and gave them the chance to share their perspectives on the right way to approach the projects, the team felt the tension lift and opened up. Since that conversation, Janice has noticed that more discussions are taking place — teams are sharing their thoughts with each other. Thank you so much to Samir and Janice for sharing their stories with us! 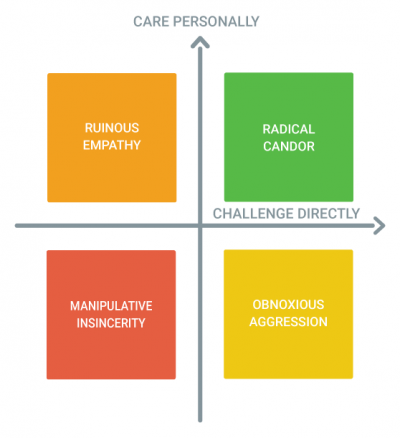 We have a great story to share with you about a company that rolled out Radical Candor in their organization. Gem, a Los Angeles based blockchain company focused on healthcare and supply chain, recently introduced their 20-person team to Radical Candor and developed a really fun way to recognize their successes. 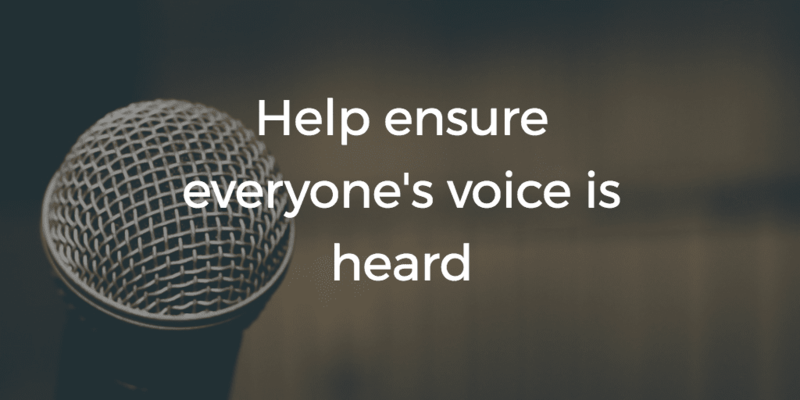 Read on for ideas on rolling out the framework with your team! As People Operations Manager at Gem, Madeline Mann had been hearing some feedback from the team about the company culture, but she couldn’t quite put into words what the consensus was. Then a colleague sent her a link to Radical Candor, and as soon as she saw the 2×2 framework, it became obvious: the company’s penchant for Caring Personally was leading them into Ruinous Empathy territory. 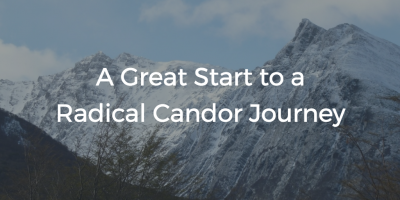 To help the team learn about Radical Candor and start moving in the right direction, Madeline kicked off a four week facilitation based on the Radical Candor articles, book, and podcasts. 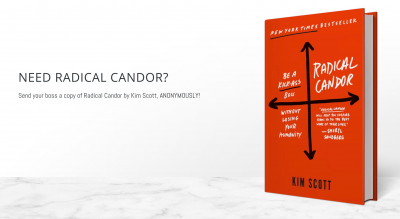 First, she introduced the concept of Radical Candor and the four quadrants, and asked the team to think about their company culture. Where on this 2×2 were interactions at Gem more likely to fall? The team opened up and agreed that they had an unparalleled ability to Care Personally, but that they often failed to Challenge Directly. It was clear to everyone that most interactions at Gem fell firmly in the Ruinous Empathy quadrant. For the remaining weeks of the facilitation, the team at Gem spent 10 minutes of their weekly all-company meeting to focus on Radical Candor. They introduced new tenants of Radical Candor, shared observations and stories from their week, and gave out an assignment for the week. For example, one of the weekly assignments for the team was to give Radical Candor to their lead. 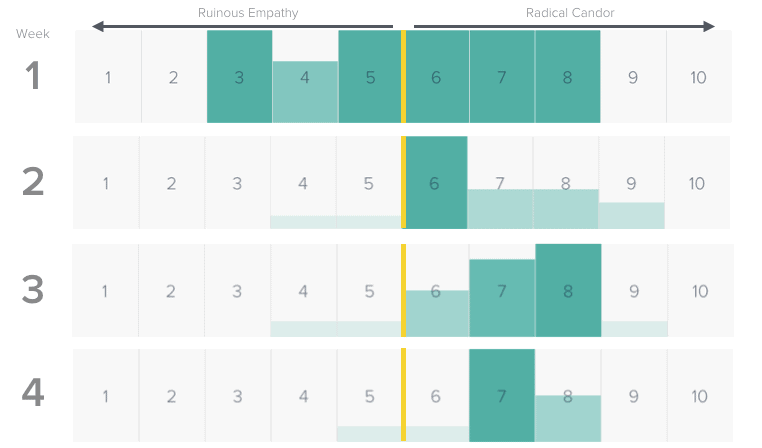 The team used some tips from Radical Candor Episode 8: How to Give Feedback to Your Boss to help them. I’m a little uncomfortable saying this, but I’m doing it because I care. As a way to encourage and reward their progress beyond the four weeks of facilitation, the Gem team decided to elect one person each week who had excelled at Caring Personally and Challenging Directly. They award this person the “Candor Canary” trophy, a name they chose because canaries are known for constantly singing and being heard. And unlike a dog’s bark or a crow’s caw, a canary’s song is beautiful and welcomed, just like thoughtful feedback. 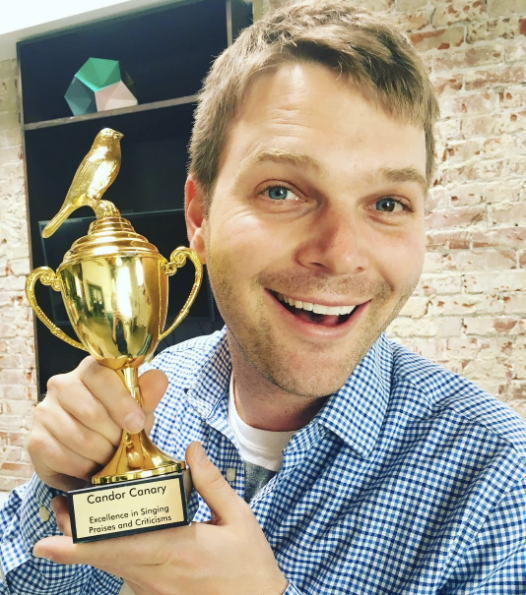 Congrats to Scott Hoch, Gem’s inaugural Candor Canary winner! 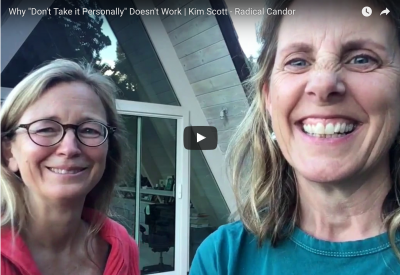 Every week the previous winner of the Candor Canary trophy brings it to the all-company meeting and passes the trophy to someone they saw display great Radical Candor. They share the specific example of the new winner’s excellent candor, so that they can illustrate what success looks like — following the HIP approach of using public praise to help everyone learn. Thank you to Madeline Mann and Gem for sharing this story! We look forward to hearing more about your Radical Candor journey. 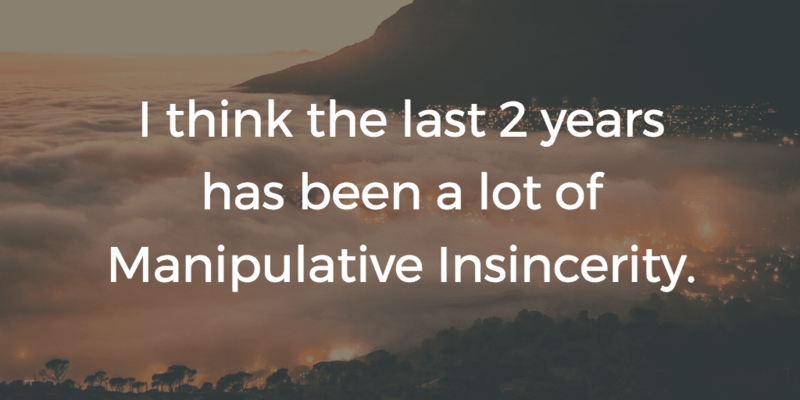 Does your company have a Candor Canary equivalent? 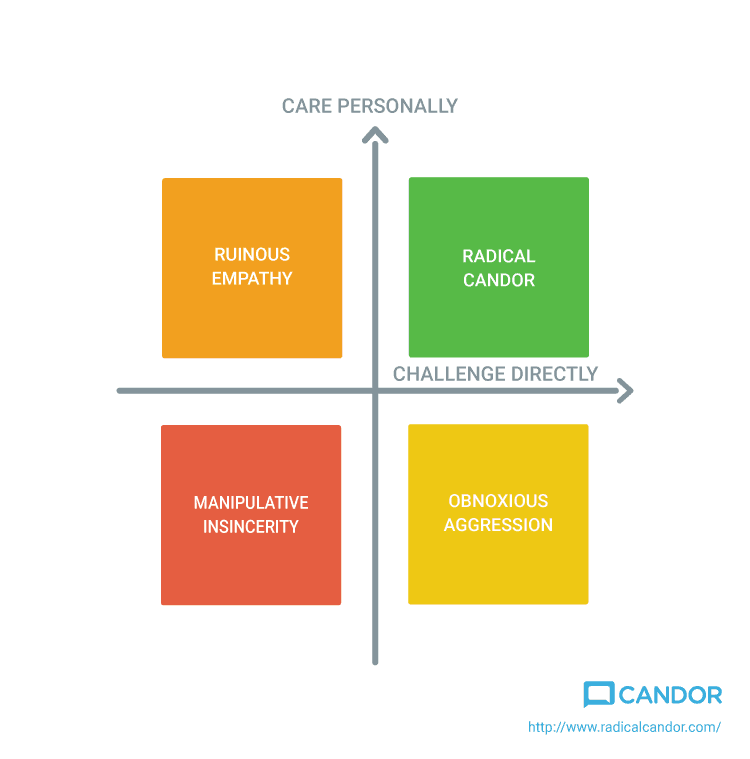 We’d love to hear about how you’re rolling out Radical Candor!